This hunting dog training video and manual set covers marking from puppies through advanced training. Mike uses field demonstrations and evening discussions to describe a complete sequential marking program and to explore a wide variety of marking topics. Fireside discussions with Mike Lardy expand on the marking concepts in each tape. 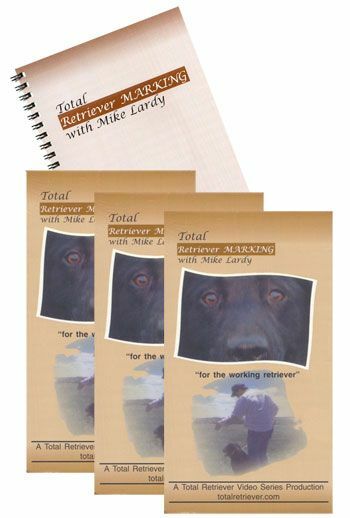 The discussions in this hunting dog training video cover commonly asked questions from both FIELD TRIAL and HUNT TEST perspectives.